The highlight of the women’s Cruise 2019 collection was definitely Grace Coddington’s cats (hand-drawn sketches of Pumpkin and Blanket) as well as Nicolas Ghesquiere’s dog (a labrador named Léon) that was showcased under the #Catogram collection. The men, on the other hand, had a rather different storyline, one that was focused on the intergalactic theme of space and cosmic stars that was interpreted onto various Louis Vuitton silhouettes like the Alpha Backpack, the Keepall Bandouliere and the Multiple Wallet, just to name a few. 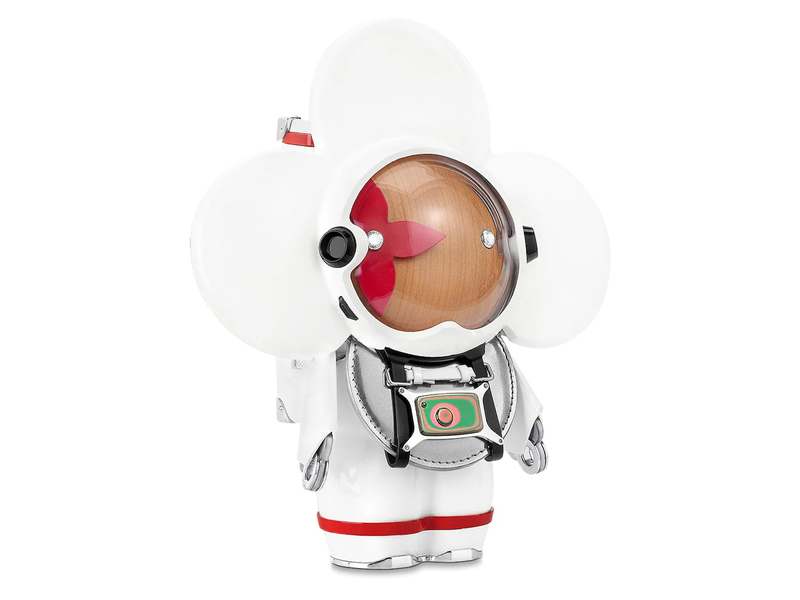 There was, however, one particular piece that stood out, the French luxury house’s mascot that’s named Vivienne Spaceman. Crafted in its emblematic wood body with leather elements, this special edition comes suited up in a spaceman’s suit. Encompassing several metallic elements that emulate that of real spacesuits, even the oxygen tank at the back comes in the shape of Louis Vuitton’s trunk, replete with corner bumps and the LV’s circle logo. Measuring 25 cm by 17 cm, the Vivienne Spaceman might come with a hefty price tag of SGD4300, but this won’t stop fans from getting their hands on one. And even though she might be sold out across all 3 Louis Vuitton boutiques in Singapore, you should still head down and make your request known, because who knows, she might just be flying in just for you.